Dementia is more complex than most people realize. Although Alzheimer’s disease is the most common cause of dementia, many other diseases can play a role in the development of cognitive decline. Everyone experiences some moments of forgetfulness from time to time, whether they’re trying to find their keys or are struggling to remember a name. As we age, these little moments of flawed memory become more worrying. And in fact, the damage from Alzheimer’s can start up to 10 years before symptoms become troublesome. Many factors are shown to increase the risk of developing cognitive decline: high glucose numbers, lack of exercise, poor stress management, fatigue, and nutritional deficiencies are some key imbalances that can contribute to cognitive issues, even without Alzheimer’s. Get enough sleep. A great deal of research supports a link between brain health and adequate sleep. Scientists think the relationship may work both ways: not getting enough sleep can lead to cognitive decline, but cognitive decline can also cause sleep problems. Either way, the best approach is to be proactive. For example, avoid substances like caffeine or alcohol before bed. Practice good sleep hygiene by sleeping in a cool, quiet room and pay attention to when the body wants to sleep. Your circadian rhythm is your natural sleep cycle, which is ideally around 10-10:30 pm. Fighting it and staying up later sends an adrenaline rush to your body to keep it awake. Talk to a healthcare provider if sleep issues interfere with daily living. You may also find that following the other tips on this list help with sleep – did we mention that it’s all connected? Focus on a whole foods diet with plenty of healthy fats. Good nutrition fuels our brain. Processed, low-nutrient foods can lead to inflammation and oxidative stress. The result, over time, can be cognitive and mood issues. A healthy whole foods diet is high in nutrients, fiber, and lacks problematic food additives, like colorings, flavorings, preservatives. Organic food contains less pesticides and herbicides than conventionally raised foods and should be bought as much as your budget allows. Bioflavonoids: These phytonutrients are found in many fruits and vegetables, particularly brightly coloured, flavourful foods like strawberries and blueberries. Flavonoids have been found to play a role in preventing memory decline. Hormonal Balance: Proper brain function is also linked to hormonal balance. Having an imbalance of your cortisol levels, estrogen, melatonin, pregnenolone, testosterone or thyroid can all contribute to memory loss, confusion, and issues concentrating. 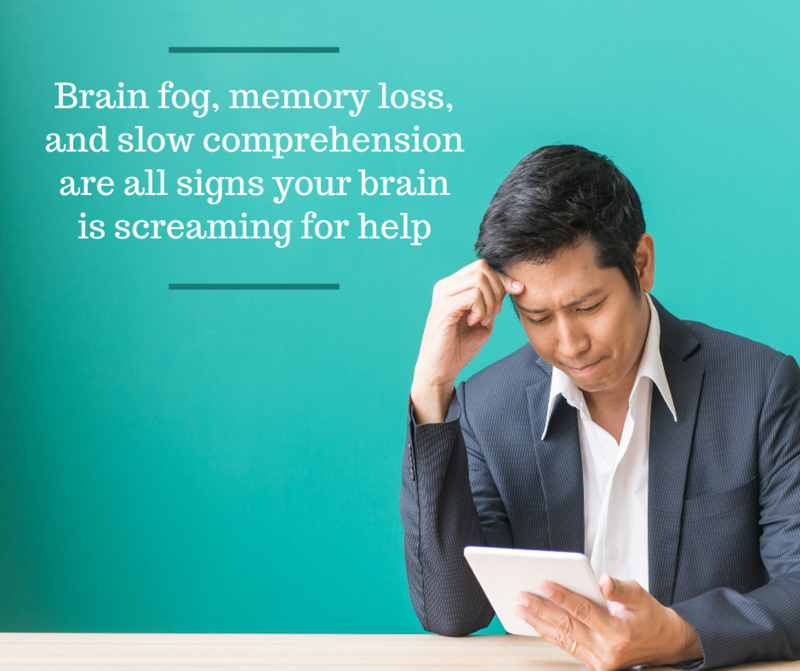 Testing and treatment for imbalances can help get your brain working at peak function again.